Model 600 pH Interface installed in an Explosion Proof Junction Box. 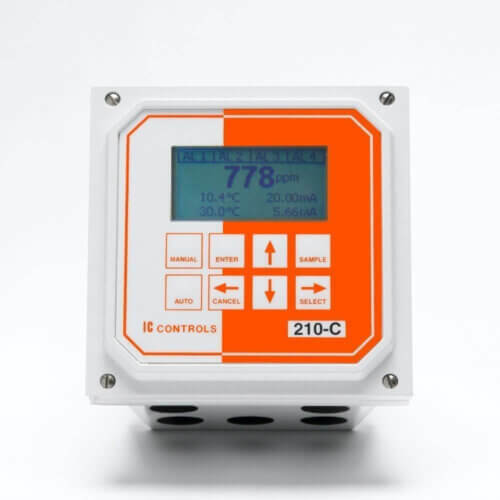 pH interface with preamplifier and terminations to minimize moisture and interference problems and provide field disconnect point f or 600 IC CONTROLS pH sensor with IC CONTROLS microprocessor analyzer. Includes wiring instructions and weatherproof /explosion proof UL & CSA junction box (for surf ace type J-box select option -71). 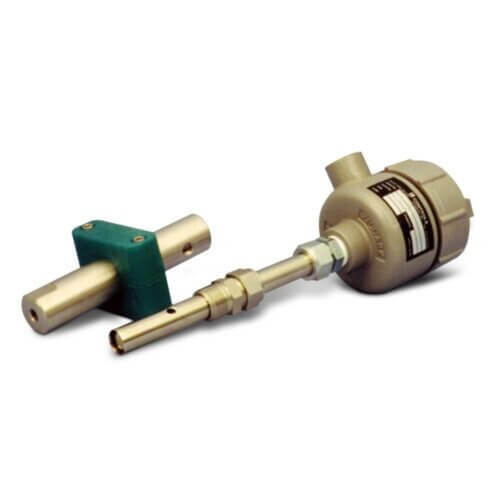 Mounts on top of pH sensor or on support pipe via ¾ inch FNPT. Required when electrode is more than 30 m (100 feet) from analyzer. 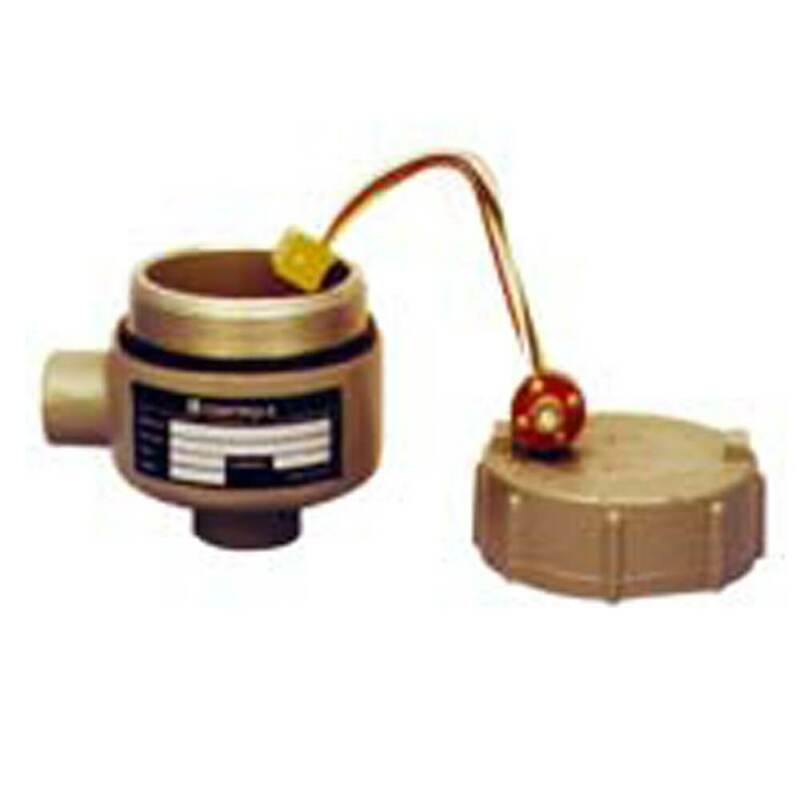 pH electrode signals can easily be disturbed because the electrode puts out a very tiny signal. 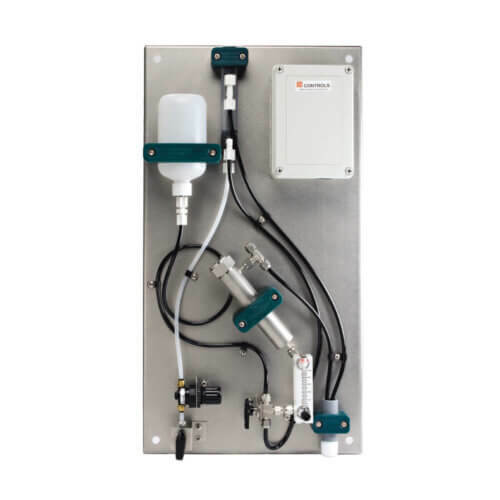 Use of an industrial pH interface strengthens the signal so it has a reasonable chance of remaining stable in a plant environment. pH electrodes have a very high impedance which makes their leads like an antenna that easily picks up electrical noise. 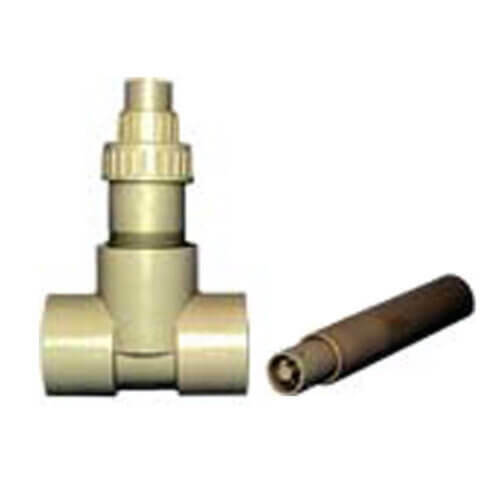 A 600 pH interface eliminates the noise pickup problem and connections can be extended to 1000 meters. Without a 600 pH interface, even moisture, dust and fingerprints can short the tiny pH signal.